New Hampshire has fairly relaxed laws regarding ownership and carrying of firearms. New Hampshire is recognized as an “unrestricted” and a “shall issue” state. Unrestricted means that the applicant only needs to have passed the minimum requirements to get the license. Target shooting, hunting, and self-defense are considered to be “proper purposes” for owning a gun, unlike many other jurisdictions. Shall issue is applied for reciprocity’s sake with states that New Hampshire has agreements with. Currently, New Hampshire has a reciprocity agreement with 28 other states. The agreement that New Hampshire has with these states is subject to change without warning. New Hampshire allows gun owners to open or concealed carry their weapons except in certain restricted places. You have to be at least 18 years to buy a rifle or shotgun and at least 21 years to buy a handgun. You’ll need a permit from your local police department to carry a concealed handgun to any of the 28 states that New Hampshire has reciprocity agreements with. The permit is available to citizens for a fee of $10 and $20 for nonresidents. 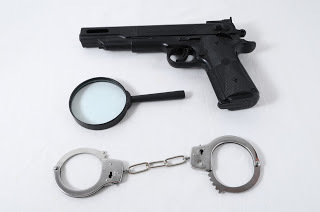 Even though these agreements are meant to honor each states concealed carry licenses, there are many issues that could arise as you carry the firearm across state lines. Some states will only recognize your New Hampshire permit if you are at least 21 years old. Some states like Alaska, Vermont, West Virginia, Maine, and Kansas have a “permit less carry” policy. This means that anyone who legally owns a gun can carry it concealed without the requirement of a license or permit. Some states may require that certain firearms be carried in special containers when transporting them in a vehicle. Also, states have to follow the federal restrictions on the length of the gun barrel, therefore reducing the barrel size for the sake of easy transportation could lead to potential legal issues. Federal law requires rifles to have barrels of no more than 16 inches and 26 inches overall length. The concealed carry reciprocity act is a bill that obliges states to allow the carrying of concealed weapons across states as long as both states allow the carrying of concealed weapons. The bill was passed by the United States House of Representatives and is currently under consideration by the Senate. For proponents of the bill, it allows residents to carry concealed weapons without having to worry about reciprocity agreements from other states which are often subject to change. It is seen by proponents as giving them second amendment rights across state lines. For opponents and advocates of gun control, it takes away the right to set their own regulations that regulate the possession of firearms. Some states have varying concealed carry laws that may have implications for the local police department to prevent guns from getting into the wrong hands. For example, some states like Massachusetts have background checks and mandatory firearm training courses before a firearm is issued. This is a big difference from New Hampshire’s “unrestricted” and “permit less carry” laws.